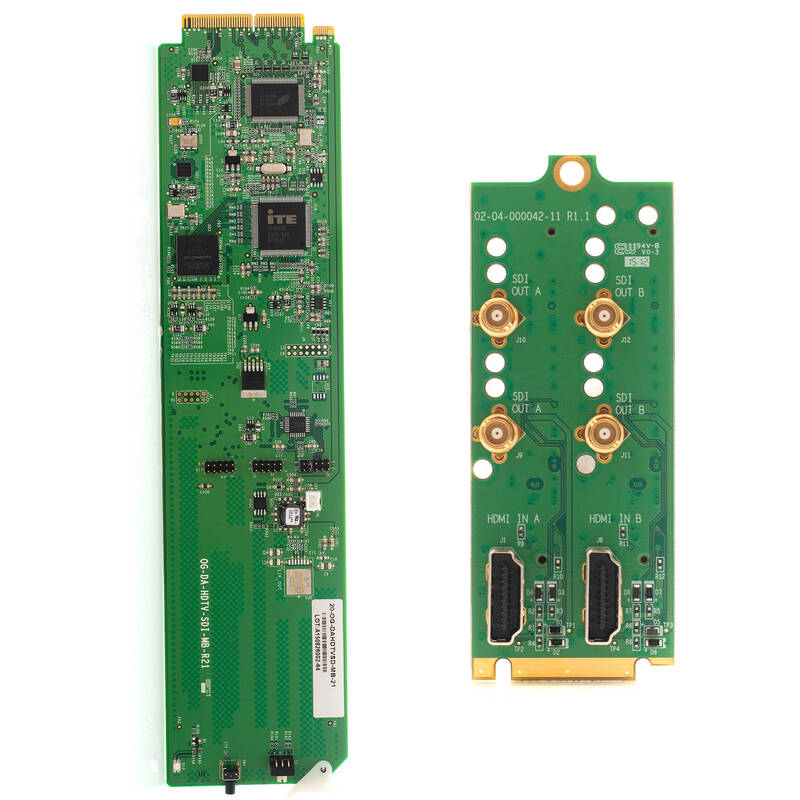 This Converter Module Set from Apantac includes a OG-DA-HDTV-SDI-II-MB card and a dual Rear Module. 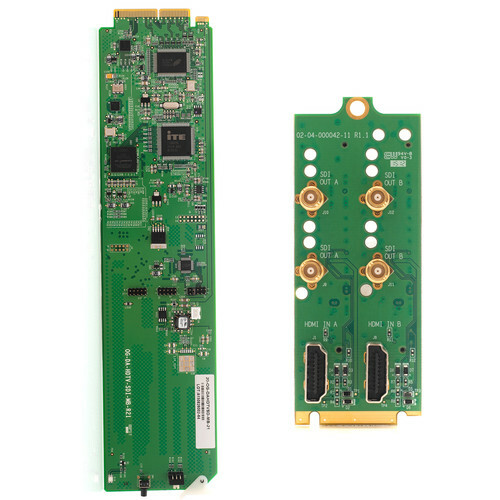 This card converts HDMI 1.3 to SDI and supports DashBoard interface and optional SNMP. It features an HDMI input, two SDI outputs, and manages HDCP. It supports four channels of embedded audio with minimum processing delay. This set comes with the dual rear module connectors, which occupies two slots in the openGear frame.